Demonstrate the stabilizing effect of gyroscopes with this hands-on device, developed by physics teacher Dave Drummer. When the gyroscope is not spinning, the cylinder rolls and turns as expected. 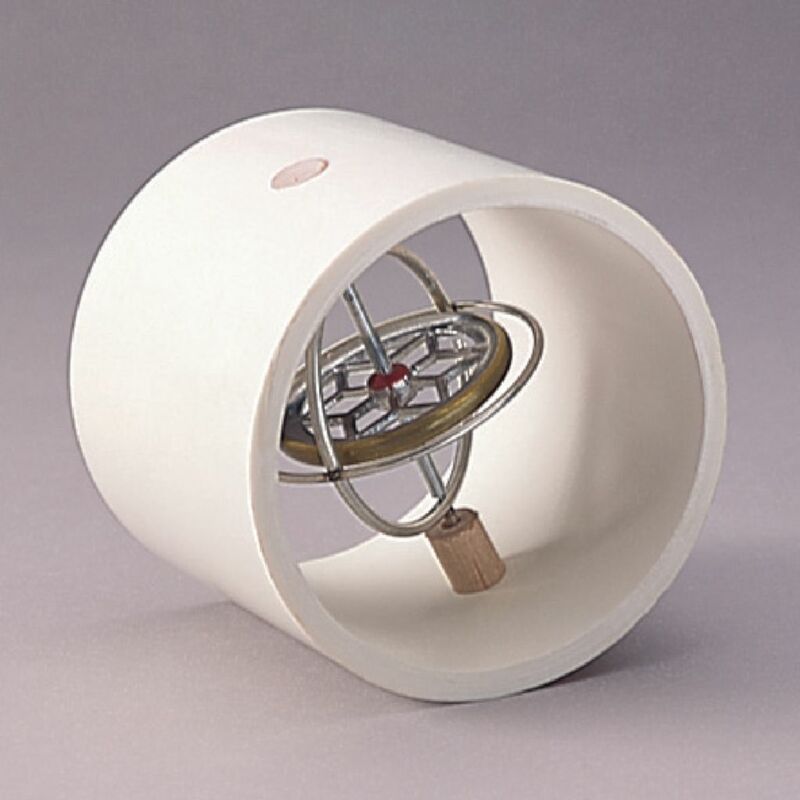 When students spin the gyroscope within, however, the tube will not roll; rather, it twists and moves in resistance to outside forces. This affordable device offers an excellent introduction to the concept of gyroscopic motion and forces. Includes: teacher’s guide. Grades 7-12.